Why did you name this dog Ohm? 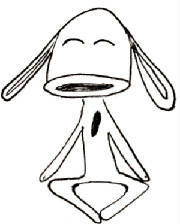 Our original design was our peace and happiness making, act of kindness prohmoting dog, sitting in what looked like a yoga pose. In Yoga, many people use a sound to help them get the most out of their practice by saying the sound OM (sometime spelled Aum). We started calling our dog, Ohm. Why the "h" you ask? When Philip's mom tried to buy the URL OMdog.com, it was taken, so she added and "h" for happiness and waaalaaaaa, our dog was officially named. Ohm also represents a measurement of energy in physics. We are all about energy here at Ohmdog.com, positive energy, using energy to perform acts of kindness, and sharing energy in a peace and happiness kind of way! Somebody once asked if the name Ohm was and acronym. We answered, it could be. Our Happiness Mascot, has a mission to continue to be a symbol of the power of kindness as a means to create peace and happiness. Keeping on ohming on! Q. Is it hard having your own website and company? 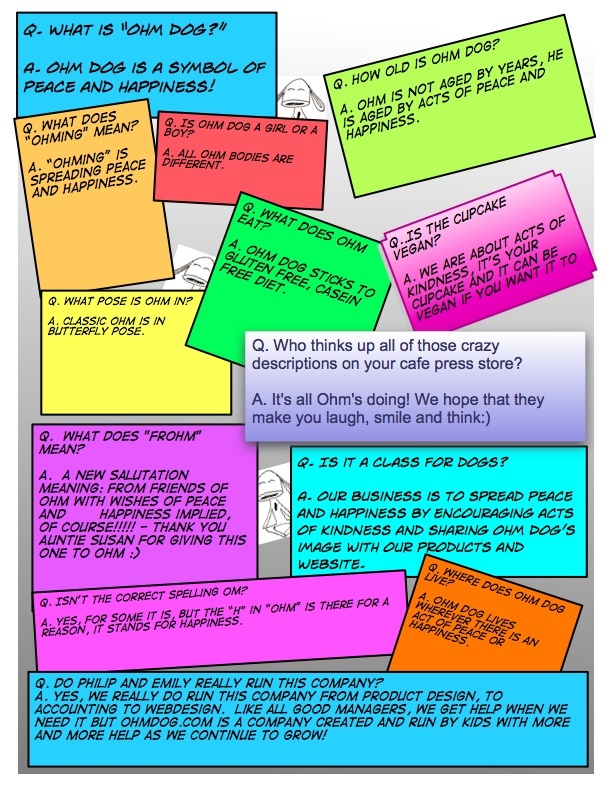 Do you know how the people in the ohm office send notes to each other? Notes in the ohm office are delivered by their very own OHMING Pigeon! What was the very first design sold in the ohm store? The "Classic" Ohm was the very first design in the store. The first shirt every made was drawn by hand, and is on display in the ohm office. Ohm's "Formula" design was the second design to be released.